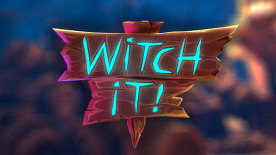 ♢ Play as a hunter or witch in 9 diverse maps, each with its own unique playstyles and prop layouts for you to discover! ♢ Use a growing array of fun skills to troll and fool your opponents! ♢ Dynamic prop movement allows you to easily locate hiding spots or traverse the maps with ease! ♢ Unlock countless customization options for both hunters and witches, of varying rarities and calibre! ♢ Progress and level your account to show off your prop hunting and hiding abilities! ♢ Play in public servers with other experienced prop hunters, or open up your own private server and play with a group of friends!